When your home’s heating system begins to fail, you’ll know it. You might experience electrical issues, smell odd odors from your furnace, or feel the drop in temperature within your home. Since furnace problems don’t always happen during normal business hours, it’s best to rely on a service team that can come to your home anytime, day or night and gets the heat back on as quickly as possible. 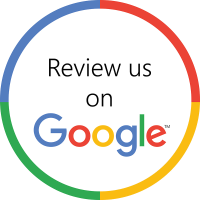 At Quality Heating & Air LLC, we’ve built a reputation in Murfreesboro and throughout Rutherford County for quality furnace repairs, expert air conditioning installations, and customer service that’s second to none. No matter your climate control problems, we’ll ensure they’re resolved for an affordable price. Contact us today. If any of these issues sound familiar, don’t hesitate to call our team of technicians. We’re fully licensed, certified, and insured to handle any home or commercial heating or cooling problem, and we can provide you with an accurate estimate of what it will take to resolve the issue. Don’t let a malfunctioning furnace keep your family in the cold. Contact the professionals at Quality Heating & Air LLC today. Keeping your furnace running at peak proficiency will not only keep you and your family comfortable through the winter months, it will also keep your energy bills from skyrocketing. At Quality Heating & Air LLC, we can keep your furnace and heating system well maintained by installing state-of-the art variable heat pumps and mechanical filters to your HVAC system, which can save you up to 30% on your annual heating bills. We can effectively diagnose any heating or cooling issue with our video diagnostic equipment, and we use only the highest-grade components in all our repairs. Save on your energy costs while keeping your home comfortable throughout the year by contacting us today. We’re dedicated to ensuring you’re satisfied with our work, and we’re happy to answer your questions or accommodate any special request. We stand behind all our services, and we’ll strive to exceed your expectations. Call us today to get the climate control you need for less than you might expect. Contact us today for emergency heating repairs.